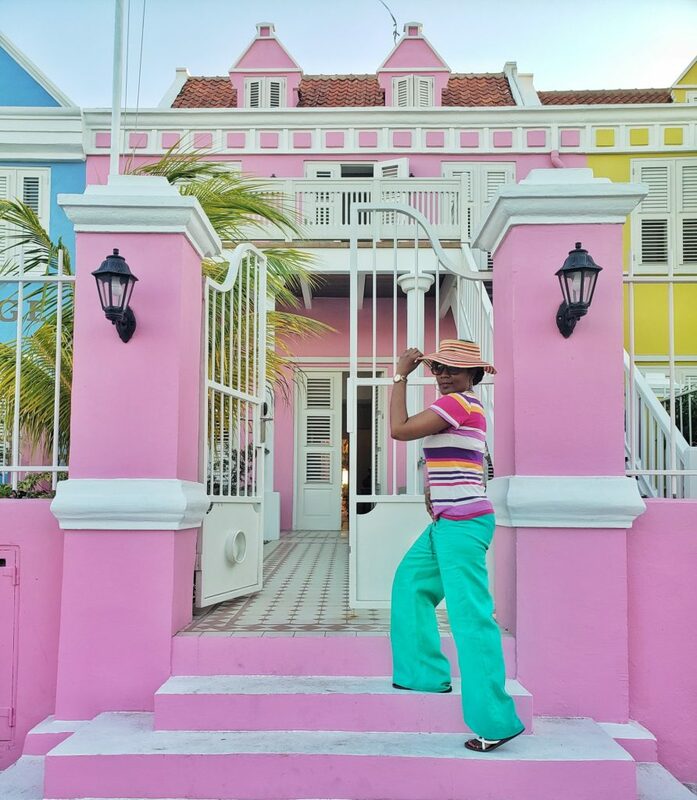 Curaçao’s natural beauty, diverse cultural heritage, historic landmarks, flavorful restaurants, beaches, and multilingual population makes it one of the most arresting, value-driven destinations in the Caribbean. 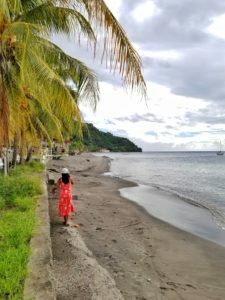 Even though the country is a part of the Kingdom of the Netherlands, it’s it’s only about 40 miles away from Venezuela, and flights to this Dutch Antilles island are only two hours and 50 mins from Miami. This past January, my family and I saw economy roundtrip airfares going for US$178 on Norwegian Air that just couldn’t be beat. 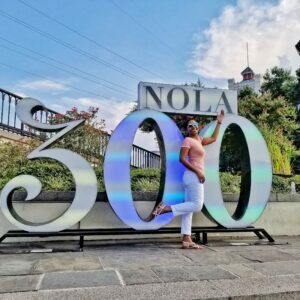 So, we did what any budget travelers would do – booked a trip and had a blast. 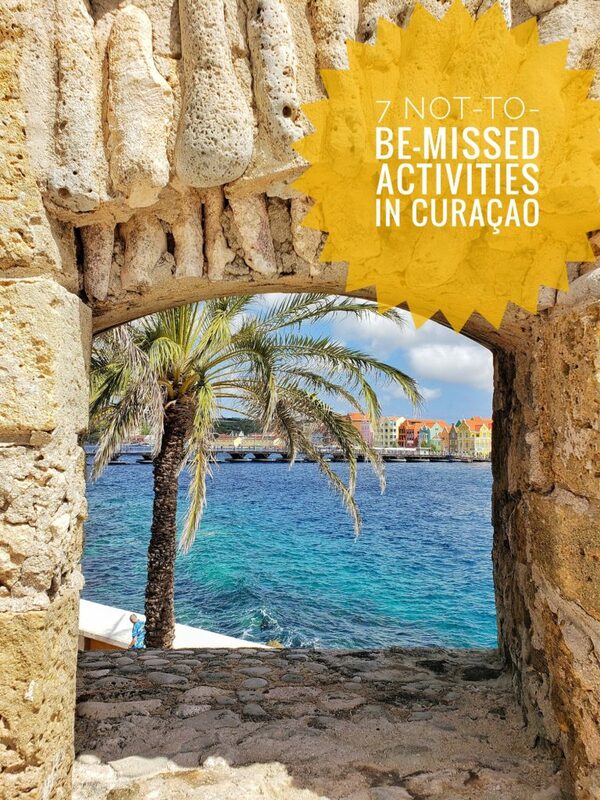 If Curaçao is on your to-do list, here are some activities you should try not to miss. 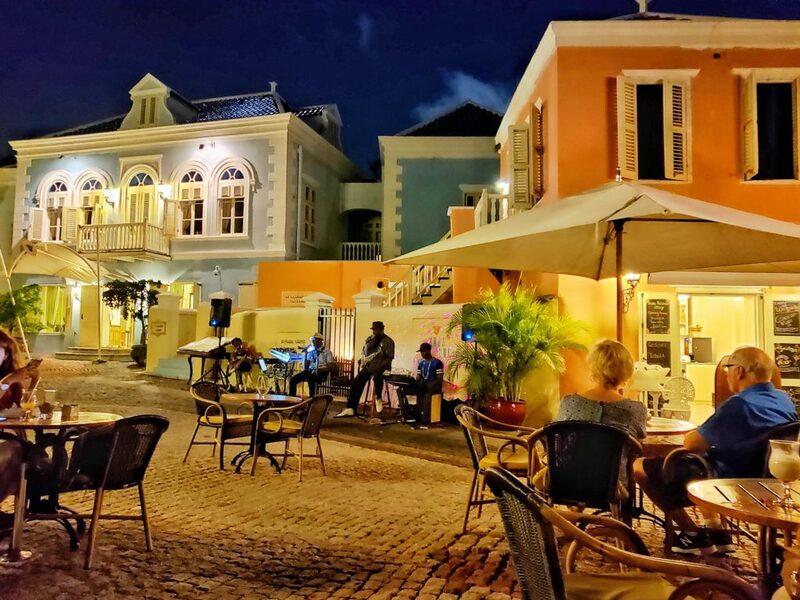 If you’re in Willemstad on a Friday night, head over to this restored village in the Otrabanda section of town to enjoy the music of a local jazz band. The resort serves an affordable wok buffet in a pleasant, outdoor setting while you sing along to the sweet melodic sounds of classics such as When I Fall in Love (Nat King Cole), Can’t Get Enough of Your Love Baby (Barry White) and Georgia on My Mind (Ray Charles). Jazz fans, prepare to be blown away. 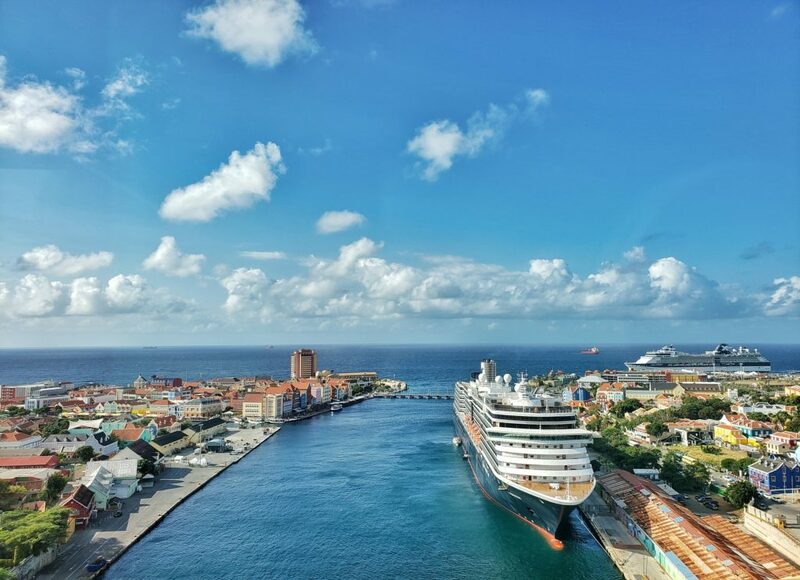 From the moment you start crossing the island’s iconic Queen Emma’s Bridge (the oldest and longest pontoon bridge in the world) to enter Punda, you’ll be besotted with its picturesque waterfront strip. Locally referred to as Handelskade, which means Merchant’s Wharf, it’s a vibrant nod to the country’s Dutch legacy. The area houses offices and retail businesses in 18th century buildings similar to the ones you’ll see dotting Amsterdam canals. There’s one startling difference, though. A kaleidoscope of color! Stop at the tourist information booth and talk to the local rep, then grab a map and take a self-guided walking tour of the capital. Points of interest include the floating market, Pietermaii District (one of the most photogenic spots you can find anywhere), outdoor cafés, shops filled with crafts and souvenirs, and two giant-sized installations: one that says Curacao, and another that spells Dushi, a local expression meaning ‘sweet’ or ‘nice’. Rif Fort was built at the entrance of the St. Anna Bay in the 1900s to protect the city from pirates and enemies. Once guarded with 5-foot-thick coral wall and 56 cannons, it prided itself on being bombproof, aloof and insular. Today, it has been transformed into a welcoming place for visitors who can appreciate a variety of dining and shopping experiences set amidst an historic venue. In addition to good food, good views and good vibes, this UNESCO World Heritage Site offers nightly entertainment Thursday through Saturday. On your way there, you can peruse the artisan craft market, ask to join a friendly domino game among the locals usually taking place near the taxi stands, or simply stand back and watch the action unfold. 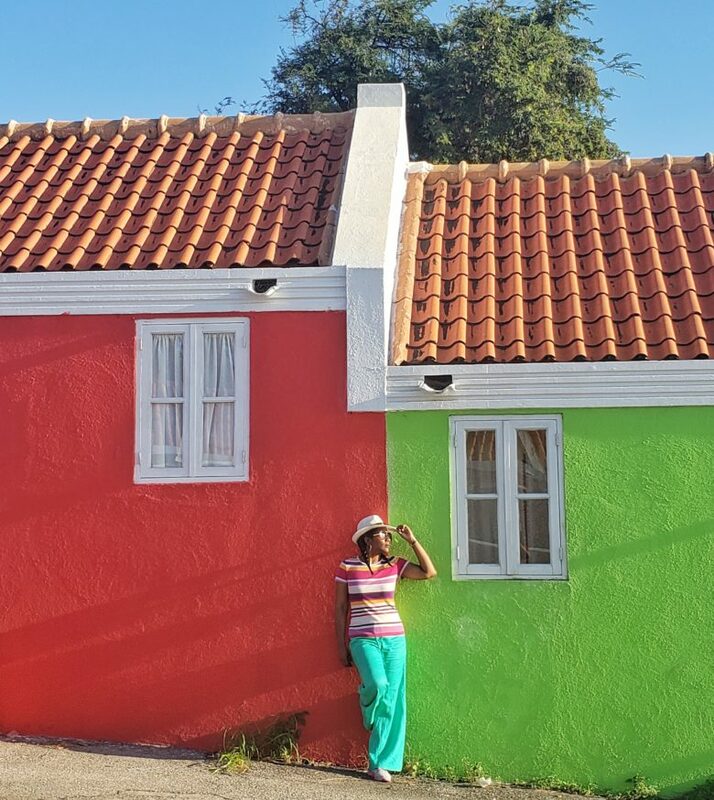 Since food is one of the best ways to experience a new culture – and Curaçao’s cuisine is a tasty mix of Dutch, Afro-Caribbean, Spanish and Indonesian influences – you can’t leave town without trying a few local favorites. Arepa, which is made of corn but looks like a puffier version of pita bread, is a popular dish with different fillings. Stoba, their name for hearty stews made with various combinations of meat and vegetables, is another one. Goat stew (kabritu) is the most common, and if you’re looking for the truly authentic stuff, go to Miss Yvonne’s stall at the food court in the Marsche Bieuw market in Willemstad. Other notable dishes include ayaka (meat tamales wrapped in banana leaves), bitterballen (meatballs), sult (pickled pigs ears and feet), fish tacos, cactus soup, and okra soup. For drinks, other than the obvious Blue Curaçao Liqueur, you have to try a batido, which is a delicious fruit shake that doubles as a smoothie. In most places you select which fruit combinations you want, and the vendors add condensed milk and sugar to it. 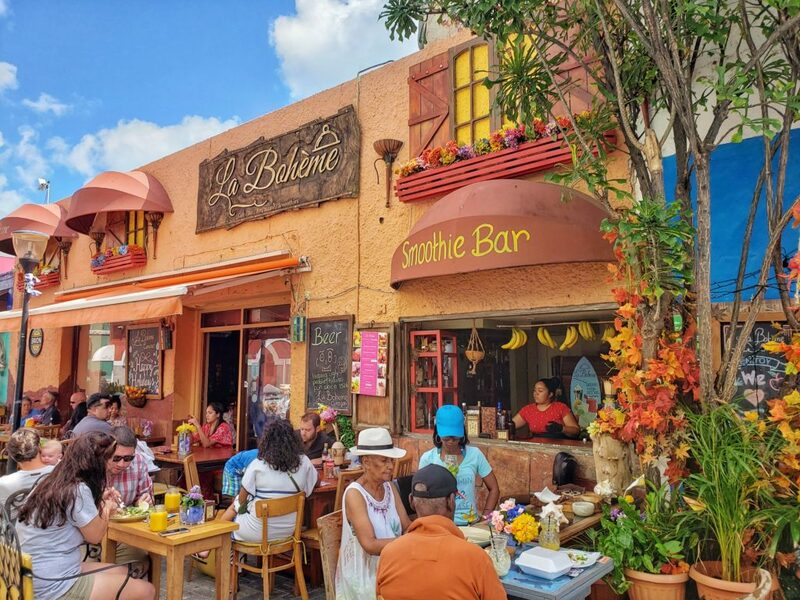 I heard there’s a food truck in Punda called 100% Batidos that sells these yummy fruit concoctions, but I opted for the healthier option – without the added sweetness – so I went to La Bohème for all-natural goodness instead. I left obsessed…and satisfied! While Saint Tropez Ocean Club is a good seaside spot to watch the sun slip below the horizon any day of the week, it is THE place to be on a Friday night. Because it’s where all the cool, beautiful and well-dressed people hang out. The owners ensure loyal patronage by offering two Happy Hours; one from 6-7 p.m. and another from 9-10 p.m., with most drinks going for half the price. 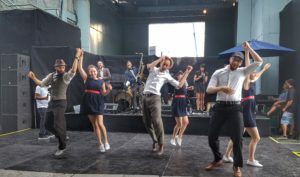 And DJs turn the place up by enthusiastically spinning dance tunes from 10 p.m. – 1 a.m. Guys, be sure to pack some linen shirts and khakis for this joint. Ladies, you better throw in some cute dresses, too. We didn’t rent a car for this trip, so we booked a seven-hour island tour with Peter Trips to see some more of the island. Stops along the way included a visit to The Liqueur Factory, Boca Tabla (an underground cavern in Shete Boka National Park), the Salt Lakes of Jan Kok (where we saw flamingos), Knip Beach, and Westpunt where we had lunch. We also drove through Punda and the Scharloo District, and the Spanish Water area. 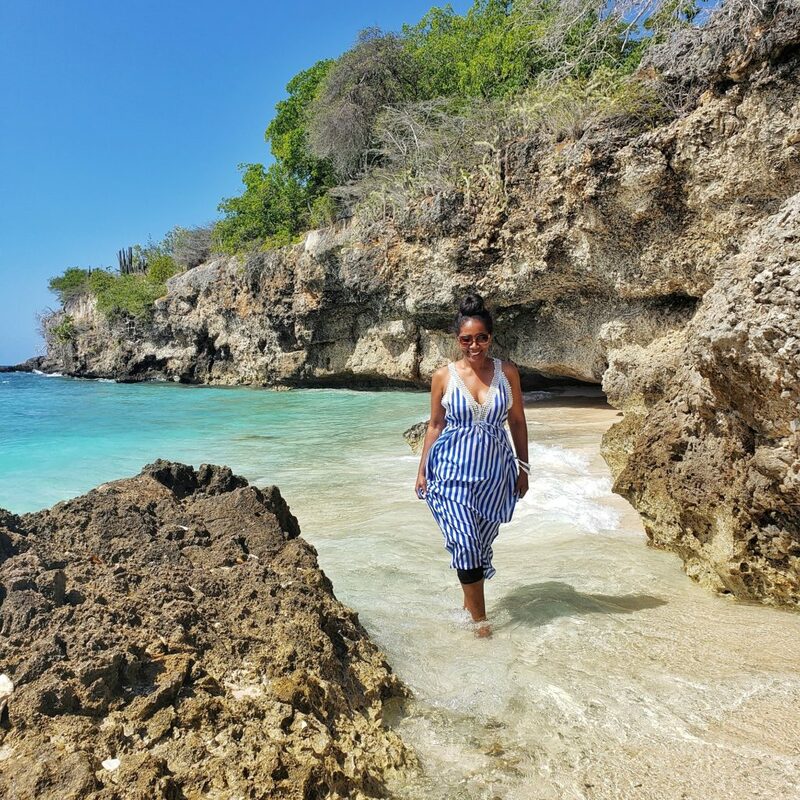 Lastly, with more than 38 public beaches and five private ones to choose from, you’d be doing yourself a disservice if you left the country without visiting a few of them. 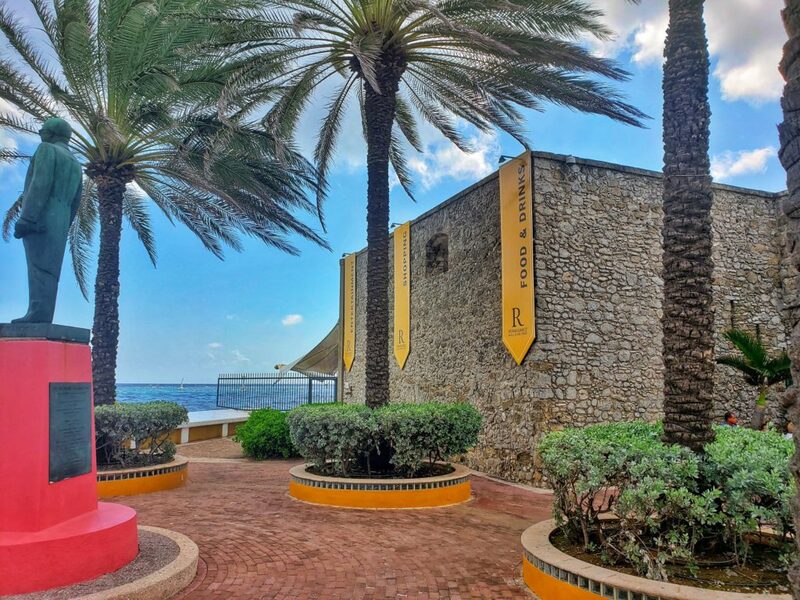 From downtown, it’s easy to hop on a local bus and get to Mambo Beach, which is just four miles to the south. Expect a white-sand shoreline, cabanas, many on-site amenities like restaurants and a volleyball court, and crystal blue waters. It costs US$2 to get there plus an entrance fee of about $3.50 to swim. Beach chairs are at an additional cost. 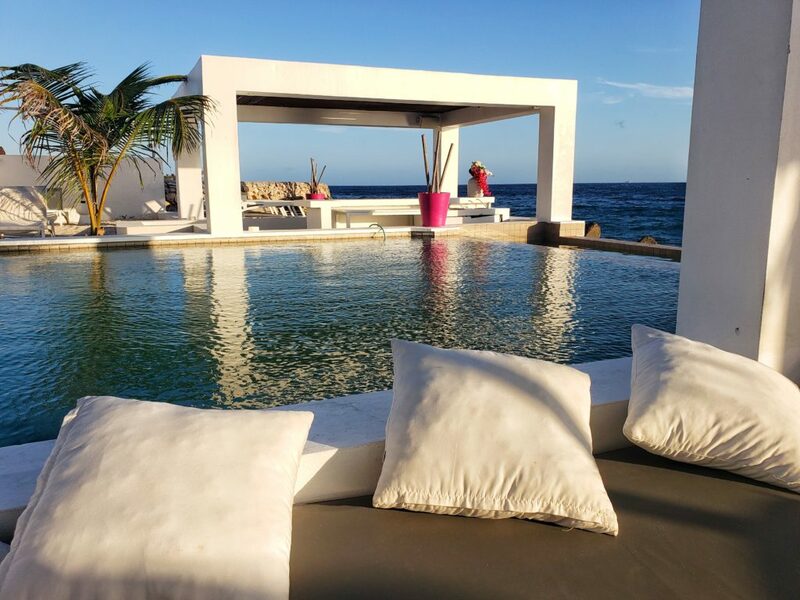 Other coveted sections of prime, sandy real estate include Playa Kalki, Klein Knip, Cas Abao, Jan Thiel, and Blue Bay beach. Save this info for later or share it with a friend!